More than 200 students were enrolled in ESL classes with 5 teachers. A letter to the Scribe News editor complained that most student bathrooms were locked during the day. Teacher Tay McArthur and a group of students successfully petitioned to have Oakland Tech’s building declared a Historic Landmark. The Landmark Plaza monument was unveiled in front of the school. “Tardy Sweeps” were instituted in November of 1983. Seventy-five students were caught on the first day. Tech was “adopted” by the US Navy in a program piloted by the US Navy Public Works Center to supply Tech students with training in carpentry, plumbing, and drafting. The continued existence of the JV Basketball Team was in question as the majority of players on the team were ineligible because of poor citizenship grades. Budget Cuts threatened music and art at Tech. The vocal director was let go and the music program was up for cuts. 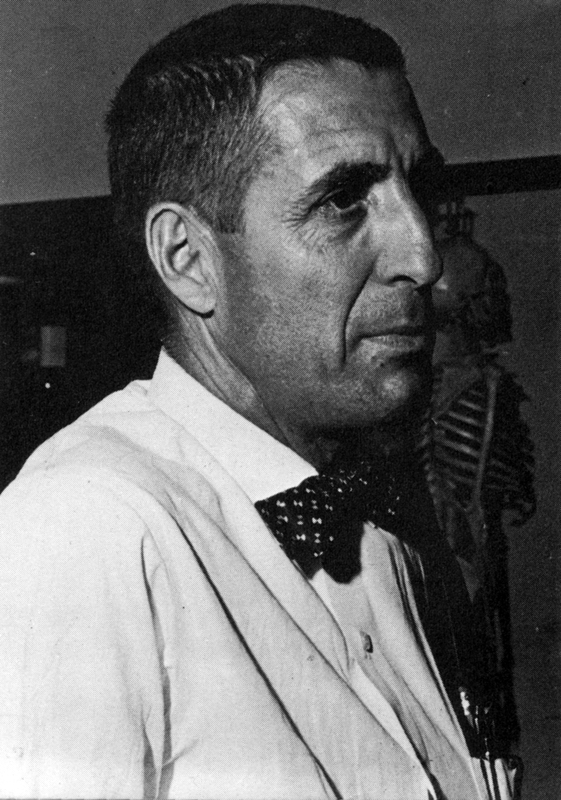 Robert C. Maynard, publisher and editor of the Oakland Tribune, spent one day teaching at Tech. He reported that he found a group of healthy, thoughtful, optimistic, if not idealistic, young people. 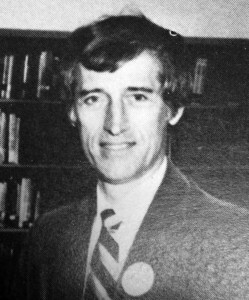 Democratic Vice Presidential nominee, Lloyd Bentsen, held a rally at Oakland Tech and praised the school as “a success story in Oakland.” Also in attendance were Senator Alan Cranston and actor Danny Glover. 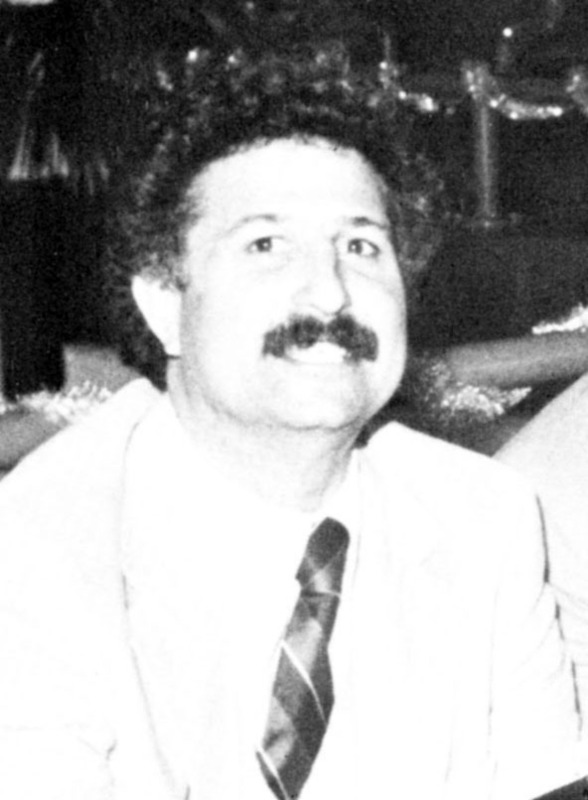 OUSD began an Exchange Program with Moscow in 1988. 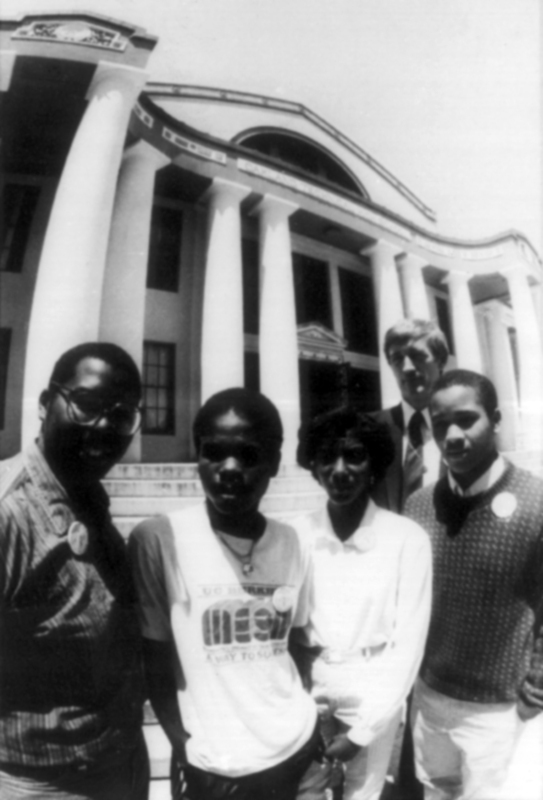 In January 1989, Tech hosted a high school symposium for students from Oakland high schools and twenty-five students from Moscow. 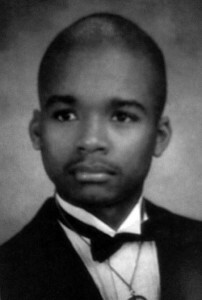 I enjoyed every moment that I spent attending Oakland Technical High School. I am very proud of the c/o ’81 and our involvement with the Martin Luther King Jr. Holiday! I am still very much in touch with some of my best friends from Oakland Tech, Zenovia Elliott-Countee, Tammy Cherry, & Verna Odom. I am proud to be an Oakland Tech Alumni. 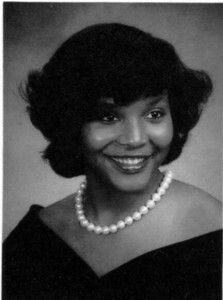 My mother also graduated from Tech, Christeen Robinson c/o ’60. I also have two children who graduated from Tech. Generations of Oakland Tech graduates!I enjoyed being a cheerleader. I had the greatest teachers! I fortunate enough to be in the Gifted program, so all of the students (Tami McClay, Eltra Green, Warren Winters, Adell Robinson, etc.) in the program became very close knit since we had the same classes with each other every year! We were like family! 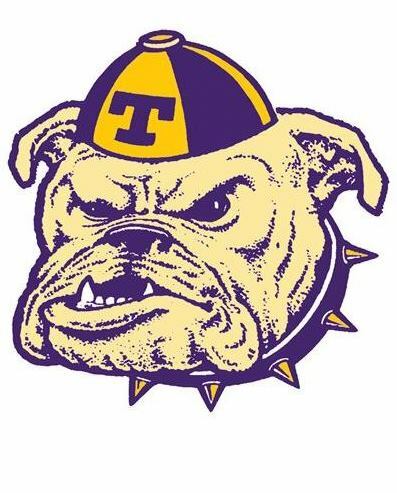 I attended Tech from 1980 to 1984, and at the end of my freshman year, I started planning my future Bulldog activities. I tried out to be a Song Girl for the cheering squad and made it! I ran for Class Treasurer and was voted in. In my sophomore year, I was recruited to be on the bowling team. We would all ride on a chartered bus to the bowling alley, in Alameda or Albany. During the ride, we sang cheers of Bulldog pride to get us ready for the match. We were all supportive of each other. Being a part of the bowling team and other school activities made my high school experience fulfilling and exciting. I knew that I had to maintain my GPA in order to qualify to participate so my activities were beneficial academically too. I still bowl every now and then and I even have my own bowling shoes! What I remember about Oakland Tech is that everyone was like family. I remember all the fun dances and sporting events football, basketball. Most memorable was sitting on the front steps laughing it up with close friends. Make your relationships and Memories ever lasting current BULLDOGS because the class of 1987 sure did. Rehema was an All-League performer for the Lady Bulldogs basketball team in 1985, 1987, and 1988 and was First Team All-State and Third Team Parade All-American in 1986-1987. After being heavily recruited by top colleges, she played one season for the University of Colorado before transferring to UCLA. At UCLA, she led the team in scoring between 1989 and 1992 and was First Team All Pac-10 for three years in a row. She is the fastest UCLA Bruin to reach 1,000 points in her career and today is still the Bruins’ second all-time leading scorer for women’s basketball. 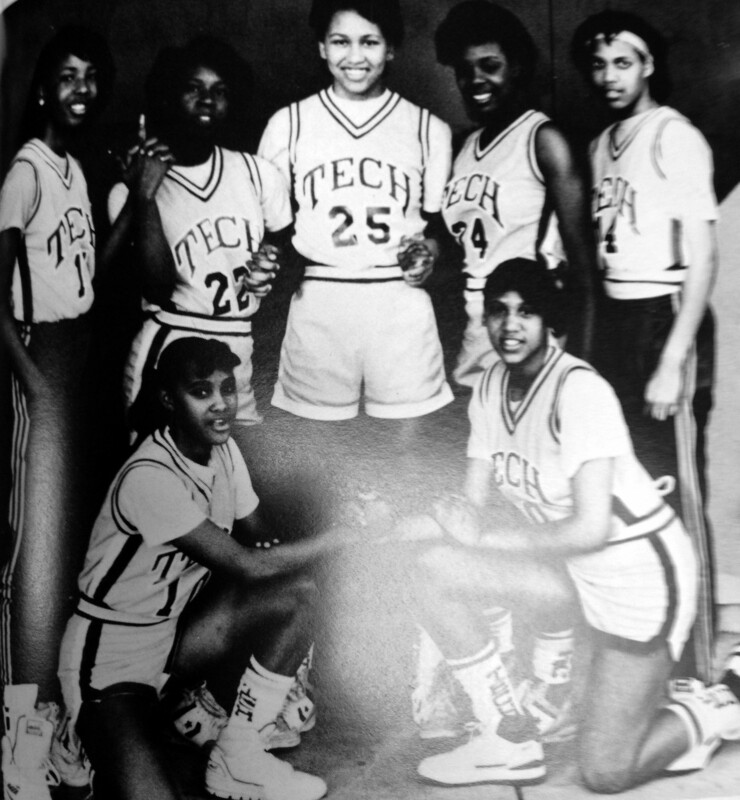 After earning her Bachelor’s degree in Psychology, she played professional basketball in Australia, Greece, Richmond, Virginia and the Sacramento Monarchs. Since retiring from basketball, she has taught middle and high school students, had a successful career as a realtor, was a radio show host and authored three books. 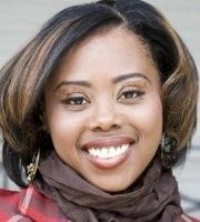 She earned her Master’s in Educational Counseling and her MBA in Business. I was an extra in the movie The Principal! I was in the 10th grade if I remember correctly. It could have been 11th. I was very excited when they announced at Tech that the producers were looking for students to play extras in the movie. We all had to audition. I remember going somewhere in Oakland to do the audition. I actually was not selected. However, they didn’t seem to be paying that much attention, so rather than place myself with the group that had been turned away, I just lined up with the students who had been accepted. It was a lot of fun. We spent a number of days on the set. Many of the students were Tech students. And I think the filming was being done on the old Tech campus. We got paid $40 in cash every day. It was awesome. They had tutors on the set. The idea was that when we weren’t filming, we were supposed to be doing our homework. But, we weren’t doing anything but socializing. It was like one big homeroom with no one in control. The production assistants would come to the door and say they need however many kids and if you were in earshot or standing there, you pretty much got selected to be part of the scene. We of course met all of the actors who were starring in the movie: Jim Belushi, Lou Gossett Jr., Jacob Vargas, a then unknown Esai Morales, and future The Five Heartbeats star Michael Wright, as well as others who appeared in other films, but I do not recall their names. I had a lot of fun getting to know Esai Morales and I had the biggest crush on him. I did see myself in the movie. There is an auditorium scene and I think I am sitting next to Esai Morales and so if you do not blink, you will see me. And if you are looking really close, you’ll see me in two places at the same time in the same scene. They needed to fill the balcony and so they had us go and sit in the balcony. They somehow merged the shots so that the auditorium appeared to be full. I still have one of my excused absence slips from the filming. The reason for the absence is “Extra in The Principal. When the movie came out, they did a premier in Oakland at the Grand Lake Theatre and some of us Tech students got to attend. Then there was a dinner or something at the Hyatt Regency. 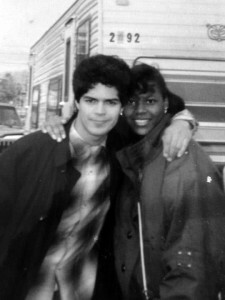 Esai Morales was in town to support the premiere and several Tech students got to take pictures with him. 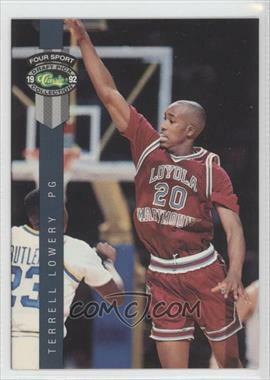 A star baseball and basketball player at Tech, Lowery went on to play college basketball at Loyola Marymount where he led the team in scoring with a 28.5 scoring average and was third in the nation in assists with a 9.1 average in 1991. He helped lead Loyola Marymount reach the NCAA Elite Eight in 1990, and was a teammate of Bo Kimble and the person who fed the allyoop to Hank Gathers moments before his death. 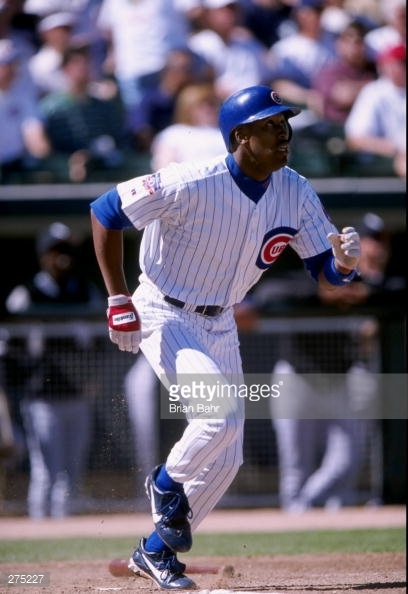 He was drafted in the amateur baseball draft in 1991 and at age 26, he joined the major leagues, with the Chicago Cubs and later Tampa Bay and the San Francisco Giants in 2000. 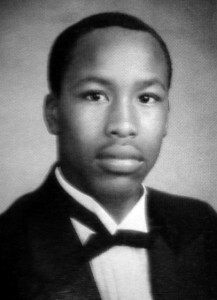 Tech (and Oakland in general) taught me toughness. Not the kind of toughness that leads to fights and violence, but an internal toughness. Resilience. An understanding that no matter what kinds of obstacles or setbacks I’m facing, I can always rise above them to achieve whatever goals I’ve set. Oakland in the 80s wasn’t a place filled with hope. I lost a few friends in those years to death, prison, and all of the other pitfalls that can derail a young person’s dreams very early. I wasn’t much different than those kids, but I was fortunate to have a network of people in my life who saw potential in me and set expectations– academically and athletically– that I would have to meet. Many of those people were my teachers and coaches at Tech. I was blessed to always have great English teachers who helped nurture my love of writing. That led me to choose a college major (journalism) which would emphasize and improve my writing skills. It ultimately led me to a career in journalism that continues today. I’ve been a news producer for three different television stations over eighteen years. I’ve interviewed celebrities, politicians, and even went to the White House for an interview with President Obama in 2012. It’s been a successful twenty-five years since my days at Tech, but it was my high school days that prepared me for those successes. In my early years, I went to a private Muslim school and then to Frick Junior High in East Oakland. I have lived in West and North Oakland my whole life. When I was at Tech, there were close to 2000 students. The atmosphere was great in those years. 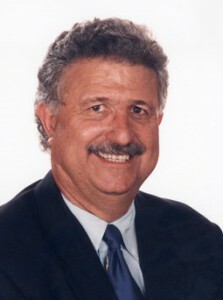 Dennis Chaconas was responsible for a lot of the positive changes at Tech because he made a big effort to get kids from Claremont to go to Tech to keep the demographics of Tech reflective of the neighborhood that it served-West and North Oakland which created a really nice diversity. I had never been around that before. The campus was peaceful. There weren’t really any racial issues. In my junior year, I took a dance class on a lark. You had to have a year of art to graduate and because of a glitch in my schedule, I got dance and PE, so I took both. The dance teacher was Lauren Manduke. She was amazing. It was pretty rare to have guys in the dance club that she also ran and she asked me to be in it. I had played junior varsity football, but hadn’t made the varsity team so I took Lauren up on her suggestion to join the club and decided to try something different. When you are a kid, having someone invite and encourage you to do something feels really nice. The day I decided to try the club was the day that the dance clubs from all the high schools came to Tech and master teachers from the different dance schools came to teach classes after school. The Director of the Oakland Ballet, Ron Guidi, was at Tech that very day. After he taught the class, he asked two of us to talk to him and he told us that we were good enough to have careers in ballet! Ron invited me to come to his class for free, which I did, and then after my very first class, he asked me to learn the “Wooden Soldier Dance” from “The Nutcracker!” Within six weeks, I was on stage performing with a professional dance company. It was incredible. I wasn’t some sort of ballet prodigy. I could even be the class clown, but Ron saw something in me. One of Ron’s things was that that he wanted his company to reflect the diversity of city that he grew up in and we was committed to giving local kids a shot. That is an important part of his story. He changed my life. And not just mine. I am one of many kids whose lives he changed. The kids I grew up with in dance and I all consider Ron a father figure. He has seen a lot of us come and go over 35 years. A lot of important talent came through the Oakland Ballet. He did a lot of important work. Even though I was on a path, school was still my first priority. 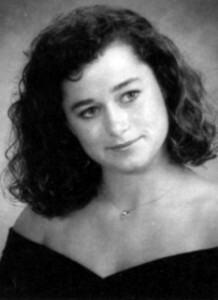 My senior year I had The Techniques 2-3 times a week rehearsing our shows. We did our own choreography and put on our own dance spring concert. And I took class 3-4 nights a week at the Oakland Ballet Academy and was there on Saturdays. I got a lot of experience in “The Nutcracker.” It was kind of like the minor leagues. I had about a ten year run with ballet, performing through my twenties. Then in 1997 I had some injuries that kept me from enjoying it. It got harder to feel that I was improving. I worked outside of the arts for a while in sales and it was nice to make a better living, but I always came back to teach classes. Ron asked me to help with student groups and I always found some way to stay connected to dance. 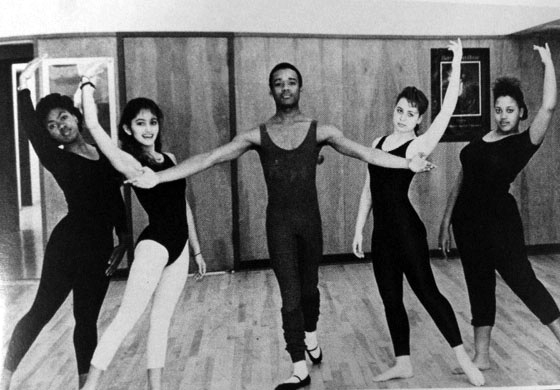 Now I am on staff at Ballet Petit in Hayward and Oakland Ballet School, the school that I grew up in even though it is no longer connected with the Oakland Ballet. I plan to keep focusing on teaching. It is what makes me happiest and it is what I do best. I am happy to be living a dancer’s life again. I was fortunate to go to Tech when I did. The diversity there taught me a lot about different kinds of people. I realized that I could get along with a lot of people I had never really been around before. I remember a lot of my teachers. I took French for 4 years with Mr. Kevin Rudy. He was really hard on me (I was late and ate junk food), but I loved his class. When I traveled after my retirement, the first place I went to was Paris because of the influence of his class. French had opened up that whole world for me. Mr. Cuttitta taught me physiology. He was a really fun teacher. He ran the class in a unique way: he didn’t give homework. He just gave the material and expected you to learn it. He lasted 40 years at Tech! I remember on the first day of school, he’d say to certain kids, “I taught your dad. I taught your mom.” Mr. Albert Perry taught me English. He really challenged us in class¬– be better, be smarter. He was African American and he knew how to push us. I am still close with kids from that class. He got us to really think and debate about things. But I am closest to my dance teacher, Lauren Manduke. She was always really supportive. I learned so much from my Tech teachers. Now that I am a teacher myself, I realize that when you are a kid, you think of your teacher as your nemesis. It’s like combat, but I have grown to appreciate all the care and love that teachers put into their work. Teaching really is the noblest profession. There is no way to be a teacher without at least having noble intentions. There is an art to teaching. My teachers showed me how to run a class, that you can engage the kids without being mean, that they can enjoy participating, that you can get them to want to expand their minds and learn more. I am fortunate to have teachers that helped me understand the value of all that. I am extremely proud to be a Bulldog. I’m a Bulldog till I die. I was always so proud of the fact that so many celebrities came out of Tech. It has a really rich history. I am proud to have gone to the same school as Ricky Henderson, the Pointer Sisters, Clint Eastwood. I walked the same halls as some of Oakland’s greatest legends. Every generation has its own challenges. I grew up after the AIDS epidemic in the era of drive-by shootings and crack cocaine. All that cast a shadow over our generation, but every generation has its own challenges. From what I hear, the kids at Tech now are fortunate to have some really good teachers who care about them a lot. They should appreciate that. Fondest memories: Cutting 5th period senior year with a host of friends to play Pictionary. If we were not in the student store then we were hanging out in the back of the library with Ms. Collins, that is until we got busted by our Geography teacher. Lost its humor when I failed Geography and became ineligible to cheer for a semester. Getting delayed returning from Grad Nite as several friends got locked up in “Mickey Mouse jail” at Disneyland for stealing. 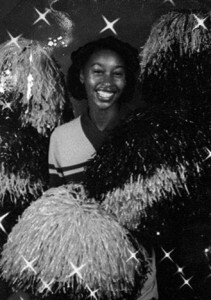 Performing as part of the cheerleader/song girl squad senior year at Henry J Kaiser center for the Jamboree and blowing Mack out of the water. Although we got deemed ineligible because we had ineligible members of the squad, the triumph in the performance was well worth it. I was honored to have been a member of the Drill Team under Ms. Collins. 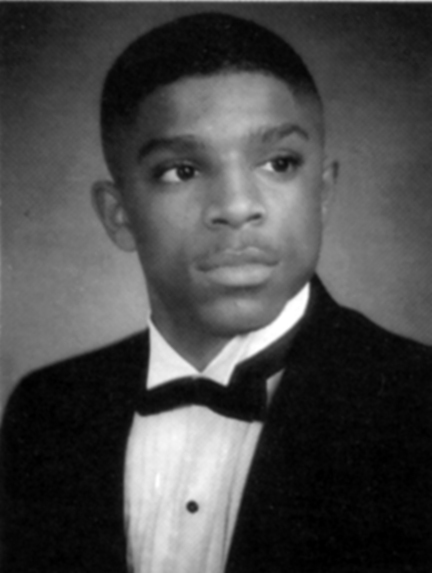 My time at Oakland Technical High School was instrumental to my growth into young adulthood. Recalling my time at Tech releases such a cascade of memories. Inside the classroom, I learned about inspirational teaching, rigorous scholarship, fair play, and the need for a plethora of viewpoints to truly answer any important question. Outside the classroom, I learned about persistent, scarring experiences of inequalities– whether socioeconomic, racial, or gender-specific– and some of the ways to begin to overcome these. I have carried these rich and nuanced lessons with me. They marked me indelibly. Among my kaleidoscope of memories are those of Ms. Wolfe and Ms. Joe’s classrooms in the Paideia program, Dance Club with Ms. Manduke, the pre-engineering drafting tables, Principal Chaconas striding the hallways, lunch on the back steps, after school dances in the basement cafeteria, being welcomed to play on the boys’ soccer team, and dissecting a fetal pig in the science lab on the second floor. My time at Tech remains a touchstone for my life, one I harken back to even now as a physician scientist, educator, wife, and mother. I am thankful its legacy continues.